The Best Deceptions: People who think I'm beautiful: my parents and James Blunt. People who think I'm beautiful: my parents and James Blunt. 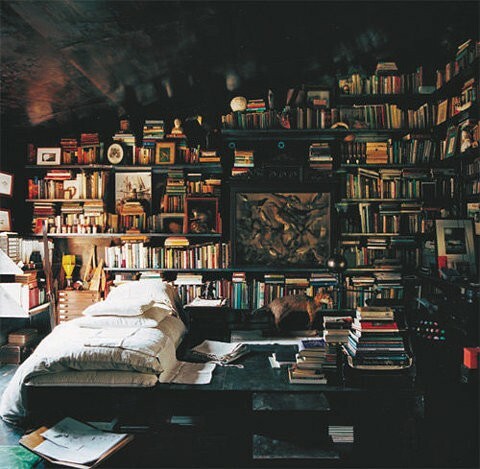 That will be my room one day. You know how in my last post I wished it would rain the next day? An hour after I posted a massive hail storm rolled in. The guy hasn't texted me in three days and I deleted him off facebook. Good riddance, creep. I've been going through my dad's CD collection, and so far I've added Jimmi Hendrix, Loggins & Messina, Styx, The Zombies, and Yes to my iTunes. I also found some great cassettes; artists such as Neil Young and Pink Floyd. I'm so glad my CD player is also a cassette player. I need to make a list of things I must do. I still need to watch A Very Potter Musical. And the Disney movies that are on YouTube. I'm reading I Am the Messenger by Markus Zusak, who also wrote The Book Thief. Both are great books. I need to finish Hitchhiker's Guide to the Galaxy. I also loved Looking For Alaska by John Green. The character development in Twelve Angry Men is fascinating. I need to take more pictures. And I've fallen in love with his voice. The creep just texted me. FFUUUUUUUUUUUUUUUUUUUUUUUU-. I'm not replying. I'd much rather have a plethora of cats than get anywhere near him and his "little friend". Maybe I'll do this if I ever see him in real life. If he was an art supply, he would be glitter. You just can't get rid of it. And even if you use a small amount of it, you keep finding it everywhere, even months later. AVPM is awesomesauce. At least if you're as obsessed with both Harry Potter and musicals as I am.